When it comes to Christmas, we can all be a bit spendy. I say this, because I get more spendy than at any other time of year and can’t resist splurging on friends and family. I love to spoil those close to me, but it’s getting harder and harder to justify! With two kids and a wedding to save for, this is the first Christmas I’ve had to implement the dreaded BUDGET on shopping. Which actually, as it turns out hasn’t been all that bad! This may seem boring as I know a lot of people (myself included) like to shop in-store at Christmas for the festive vibes. However this year with a new baby I tried it a few times and quickly gave up. 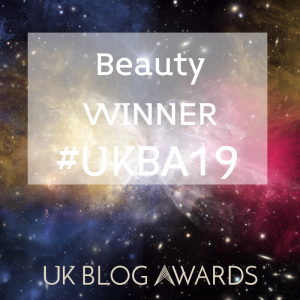 Trying to manouvre a pushchair, deal with the crowds and rudeness of others – and sometimes with my screaming baby, well, I was put-off for life. 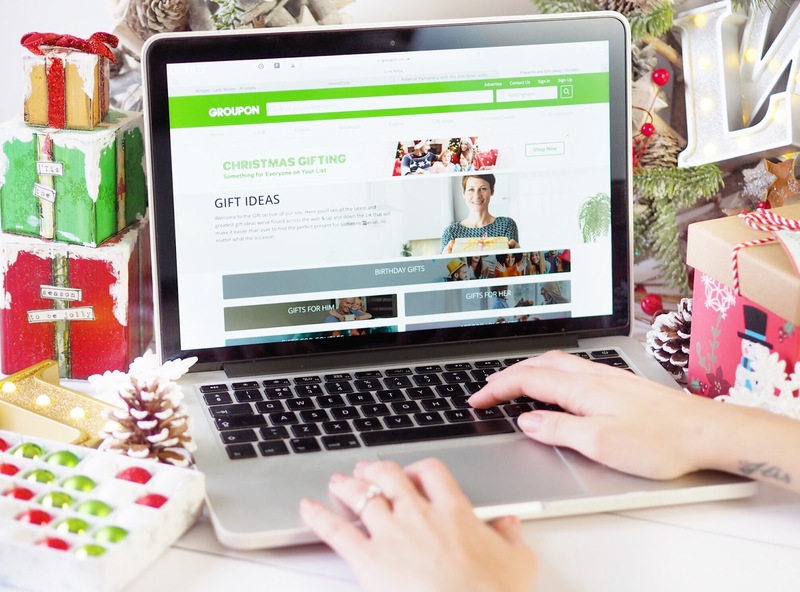 I retreated to the safety of my computer and actually really enjoyed shopping online this year. I have done 90% of all my shopping from home, with either a nice cup of tea or a G&T in hand, with no crowds, no rudeness, and zero stress. This has also meant there’s no “oh that’s nice, I’ll buy it” on all the extra’s you end up picking up. 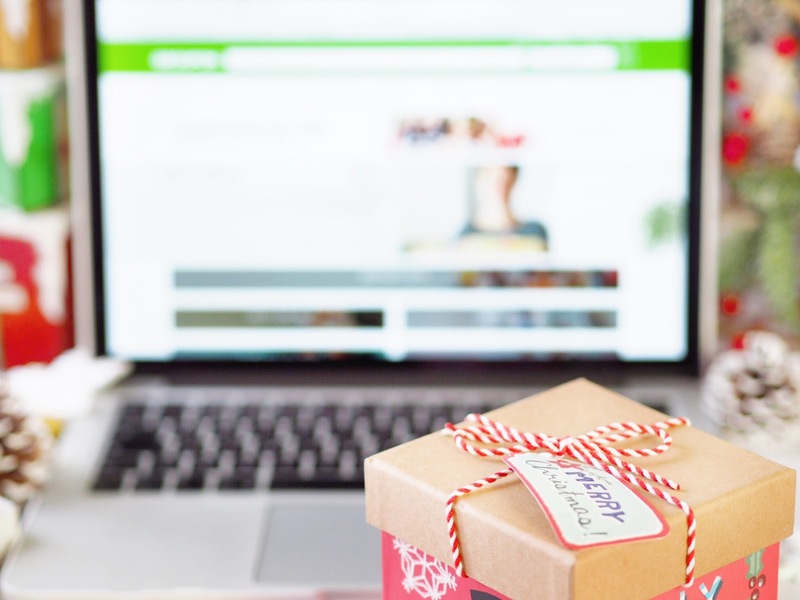 Shopping online means you get distracted by less of the other things that you would if you were in-store. This is something I’ve always done because I learned early on that if I didn’t, it resulted in a last minute dash to the shops on Christmas eve for Great Auntie Maureen’s forgotten gift. (I don’t actually have a Great Auntie Maureen, but you get my drift.) Now every October I write a list of who I need to buy for, and I try to write down what I want to get them, or at least an idea. This has helped me massively because once the decision is made, I don’t need to waste time or energy thinking about it! Plus you don’t then end up over-buying. Well this is getting better each year as the bargains improve. 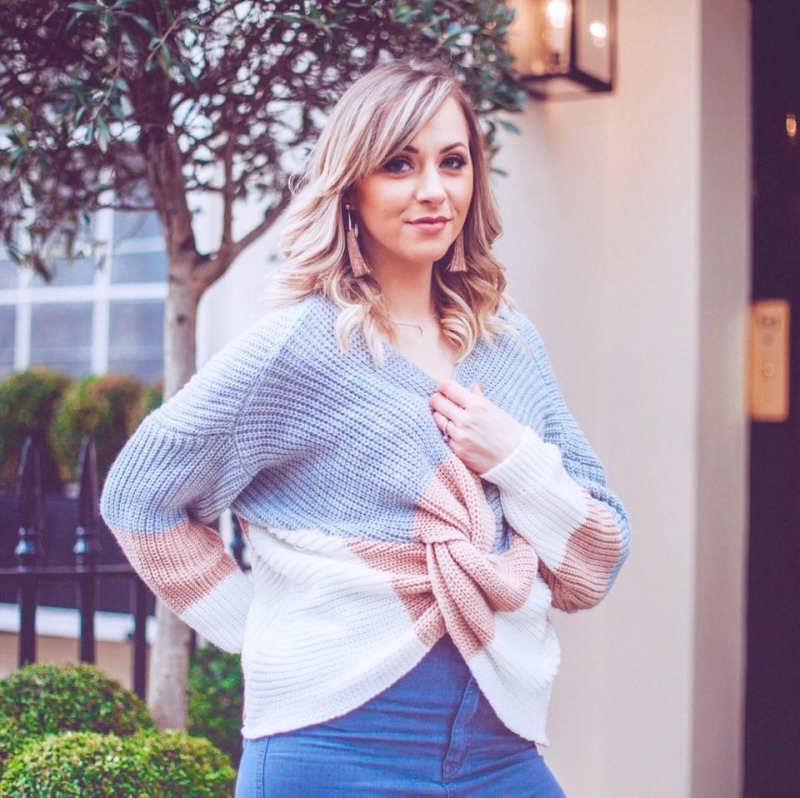 I’m not shy of being a bargain-hunter, I relentlessly search out the best deals and have saved myself a tonne of money this way! 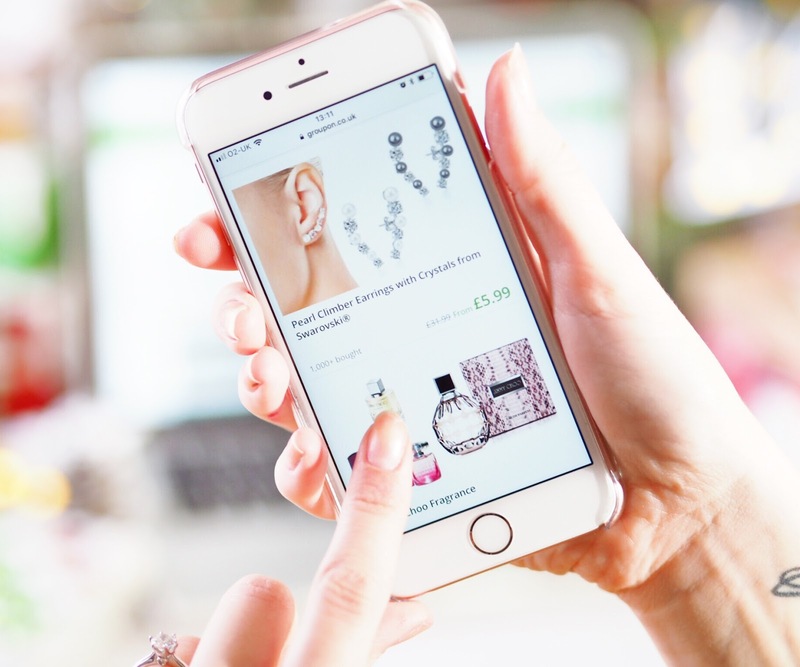 By doing a bit of market research you’ll usually find the item in question for less, or somewhere with free shipping or discounts off future shops etc. 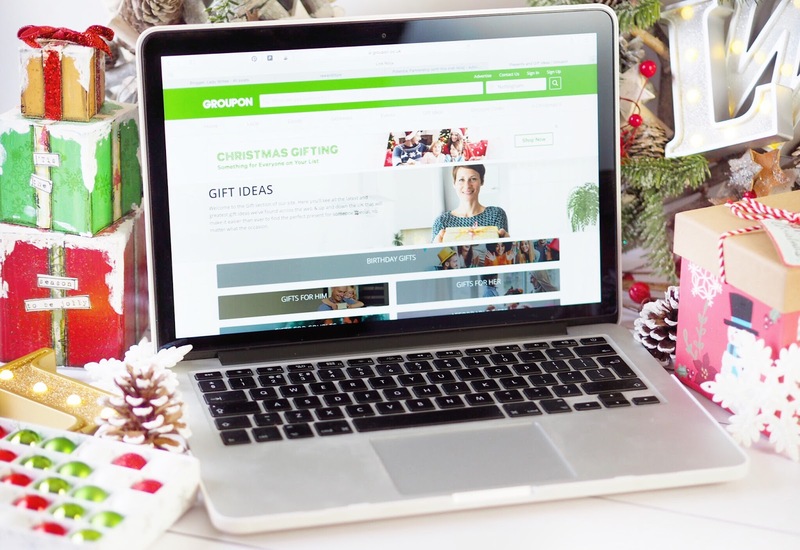 Plus you’ll also find hidden gems of websites with Gift Guides, like the Groupon gift ideas,which is full of inspiration and extremely well priced pressies. Another thing I’ve done this year to save money has been what some may call boring, but has actually saved me a small fortune. I usually buy everyone different pressies at Christmas – all my friends and family get something different. But this year when I’ve found great buys, I’ve actually bought several of the same item. So my three best friends have all got the same this year, both my Gran’s have the same etc. This has saved money on postage costs (when you buy from one retailer you won’t pay multiple shipping costs) and it’s also saved money in the sense that I haven’t needed to spend triple the amount of time searching things out. Plus what I have got, has been lovely. Admittedly I hadn’t realised how extensive the choice was that Groupon offer at Christmas. I couldn’t quite believe the sheer amount of options available on their Gift Pages. Not only do they have some amazingly good value nights away and experience gifts, they actually have some pretty cool and quirky bits too. Including things like the now hugely popular Mermaid Tail blankets as well as my personal favourite stocking filler: toilet roll with Donald Trump’s face on it. I mean, who wouldn’t love that?! There’s pants for Dad, toys for the kids, perfume for Mum and then a nifty Spa Day for you when it’s all finished to relax and banish the Christmas Shopping Stress! 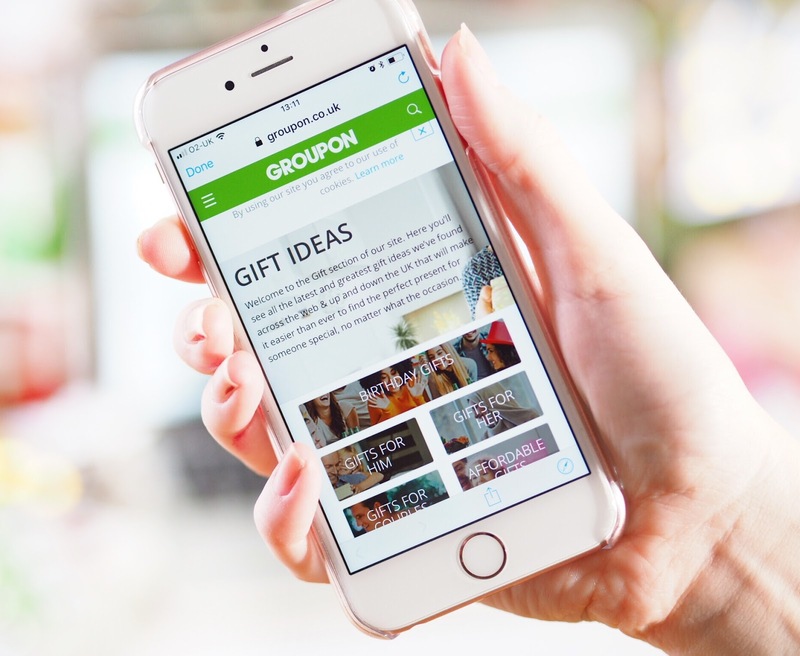 I’d never thought about how much choice was available for gifts on Groupon, but as a money saving website I can wholeheartedly say that their gifts are unique and fun but none of them will break the bank at all. So if you’re looking for some inspiration, check out Groupon. This is a sponsored post in collaboration with Groupon but as ever all opinions are entirely my own. Please refer to my Disclaimer page for more details.